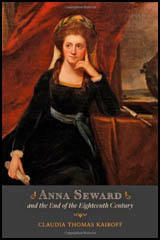 Anna Seward died of scorbutic fever at her home on 25th March 1809. 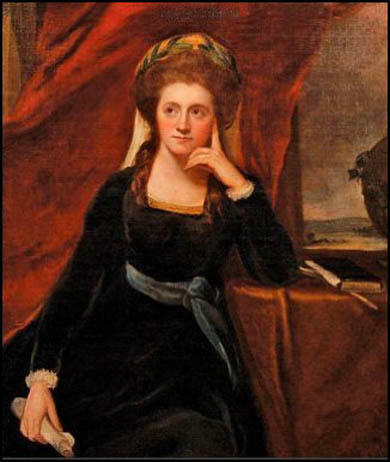 Apart from her first seven years in Eyam, Anna Seward lived all her life in Lichfield, from the age of thirteen on, in the same house, the bishop's palace in the grounds of Lichfield Cathedral. According to Seward, her adolescent years in Lichfield were Edenic; the sisters wandered in the cathedral close or did needlework and read to each other in the open air. Seward grieved the loss of Honora Sneyd throughout her life. Among the recurrent themes of Seward's best known poetry are Honora's beauty, the mutual joys of the Seward-Sneyd friendship, their alienation after Sneyd's marriage, and an enduring sense of loss. 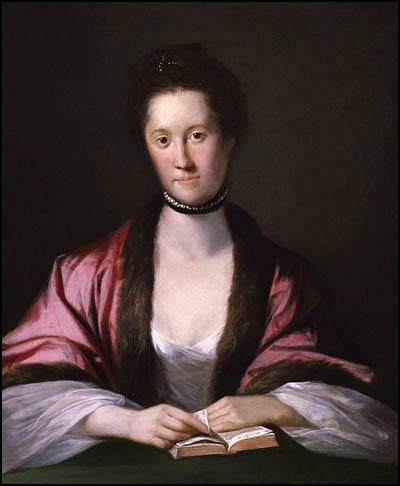 Seward's long-lived love for Sneyd and for her sister is inscribed on the very landscape of Lichfield in such poems as ‘The Anniversary’, ‘Time Past’, and ‘Epistle to Miss Honora Sneyd … from the grave of a Suicide’. Judging by the satirical comments Seward makes on married couples and her praise of the achievements of unmarried women, she came to value highly the independence of the single life. Dr. Darwin... was inclined to corpulence; his limbs too heavy for exact proportion... Florid health, and the earnest of good humour, a sunny smile, on entering a room, and on first accosting his friends, rendering, in his youth, that exterior agreeable, to which beauty and symmetry had not been propitious. He stammered extremely; but whatever he said, whether gravely or in jest, was always worth waiting for, though the inevitable impression it made might not always be pleasant to individual self-love. He (Thomas Day) resolved, if possible, that his wife should have a taste for literature and science, for moral and patriotic philosophy. So might she be his companion in that retirement, to which he had destined himself; and assist him forming the minds of his children to stubbon virtue and high exertion. He resolved also, that she should be simple as a mountain girl, in her dress, her diet and her manners, fearless and intrepid as the Spartan wives and Roman heroines.